Green Clean Organic Wipes - and a Give Away! I'm giving away Green Clean Organic Wipes! Check out my post over here! In fact, just yesterday - while playing hard outside - in March - in Minnesota - with snow still on the ground, our poor little guy got sunburn on his neck and his face! Anyway - mostly because of his delicate skin, but also because I love love love to find ways to reduce my carbon footprint - I am thrilled to tell you about Green Clean Organic Wipes! 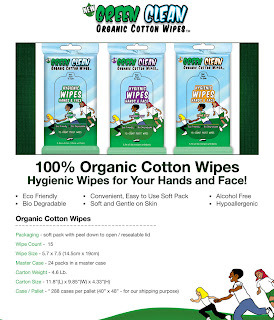 There are biodegradable wipes for Hands & Face, Baby Eye Care Wipes, Make-Up Remover Wipes, and even Foot Wipes! Something for everyone no doubt! But even better than picking up your own pack of wipes for around $1.99...How about leaving me a comment to win some of these wipes to test out for yourself? Yes folks, it really is THAT easy - simply leave a comment here telling me what YOU like to do to reduce your carbon footprint (do you recycle cans? shut the water off while you are shaving? use only towels & rags & never purchase paper towels?) ... and you'll be entered to win some of these wipes for yourself! That's it! Easy as pie - each comment left here will be dropped into the random.org selector for a chance to win some of these awesome wipes! ** Disclaimer: This review is 100% my opinion and has not been edited or reviewed by anyone. I was not compensated in any way for this product review. I am not being compensated in any way for this post. And when you are ready to purchase your own - Go HERE! 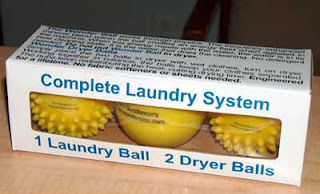 And if you are looking for anything, anything at all for your home, be it a mailbox (because the snow plow took out yours this winter like our neighbors), kids bedding like I am to complete our kids' small spaces,or appliances large or small, seriously, csnstores.com has. it. all!